Traditionally known for its gold rush (although you’ll be panning forever if you’re set on finding anything resembling gold nowadays), Ballarat’s got plenty more to offer than Sovereign Hill’s delicious hard fruit candy. Aside from award-winning wineries and killer brunch (minus the hour queue, thank you), Ballarat was the first Victorian regional city to host a local version of White Night Melbourne. In fact, the culture scene in Ballarat is becoming so good it’s seriously rivalling Melbourne’s (don’t shoot the messenger!). In spring, Ballarat hits peak season for the arts. If you’re a culture vulture, chuck some stuff in the car boot and drive an hour and a half out of Melbourne for a mind-blowing weekend away. Here are some spots to get you started. Black-lipstick wearers and Pennywise fans, we’re looking at you. Australia’s oldest and largest regional art gallery, the Art Gallery of Ballarat is coming in strong with an exhibition exploring the depiction of the skull in art and pop culture. 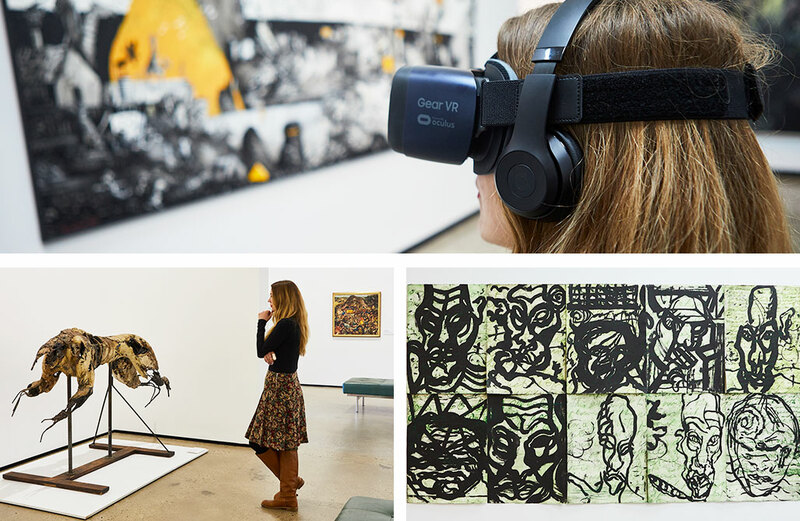 Romancing the Skull features more than twenty skull prints as well as some virtual reality work by Australian artist Shaun Gladwell which debuted at Sundance Film Festival earlier this year. Don the futuristic VR goggles for the most life-like exhibition experience ever. The gallery opening coincides with annual Dia de los Muertos celebrations and the Day of the Dead Festival which will be held in Ballarat this year, so you can actually BYO that Pennywise costume for the road trip. Expect to see lots of frighteningly beautiful costumes, traditional Mexican crafts and live music on 4 November. The Lost Ones Gallery is just around the corner from the Art Gallery of Ballarat and features a two-level space. Channel your inner artist and wander from the rotating exhibitions on the top level to the speakeasy-style basement bar. A welcoming cave of whisky, wine, cake and conversation, it’s as obscurely hidden as Melbourne’s finest laneway bars. The gallery itself tends to err on the dark and confronting side of things, with the current exhibition showcasing personal interpretations of depression. 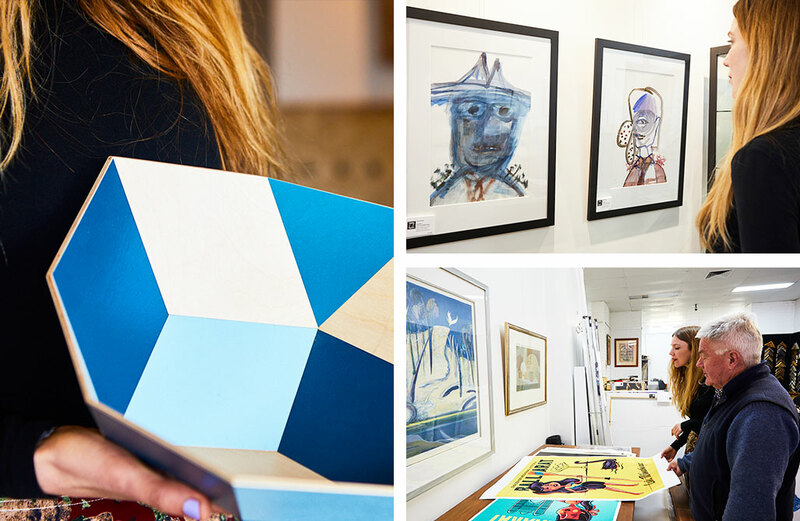 If you’re craving more art when you stumble back into daylight, the Post Office Gallery also does a great job of highlighting contemporary artists and Gallery on Sturt has some outstanding works by notable Australian artists as well as artisan-made goodies. Intimate, interactive and provocative cabaret performances? Where can we book?! Ballarat Cabaret Festival is a four-day extravaganza running from 5 October to 8 October. There will be a diverse range of performances from established and emerging cabaret acts including Dolly Diamond's and Cabaret Neu, as well as a spectacular concert from national treasure Debra Byrne. Shows will be held in the Ballarat Mining Exchange, Ballarat's Mechanic Institute and the Lost Ones Basement Bar. If you need some food to maintain your energy, we recommend popping into The Forge for the best pizza in Ballarat or Webster’s Market and Cafe for breakfast the next morning. 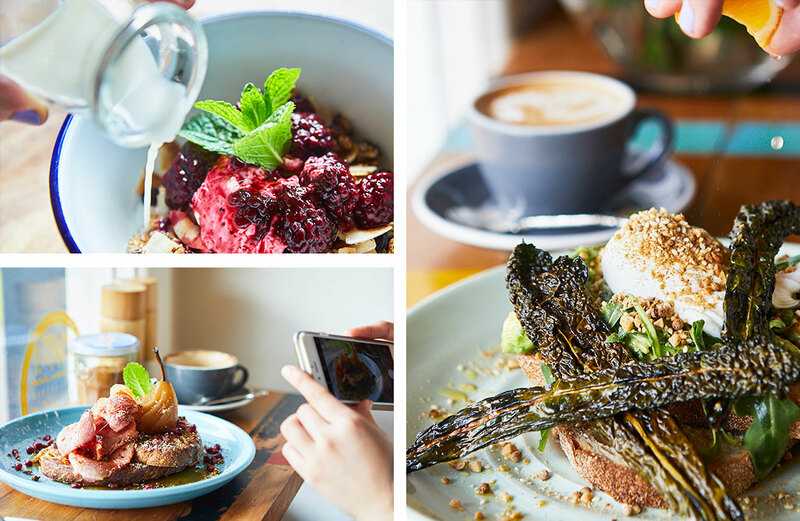 If brunch that rivals Melbourne’s best (without the queues) sounds like a toast-filled dream, you’ve come to the right region. 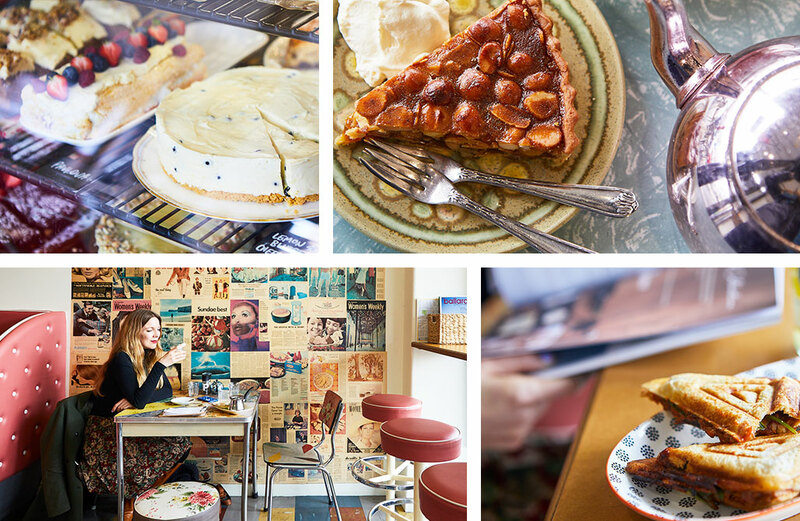 Cute-as-a-button local Little Bird Café is our pick. The interior imitates a traditional diner experience with peach-coloured vinyl booths and quirky vintage ads (sah #Instagram friendly). The homemade fare is delicious and indulgent – think piping hot jaffles stuffed with chilli beef, beans and cheese served with sour cream and jalapeños, along with gooey mac ‘n’ cheese croquettes. For something a little different, head to The Local. This arty little café focuses on sourcing the best local produce, as well as exhibiting new work from local artists (hence, the name). The smashed avocado is a standout – strewn with housemade dukkah and skewered with kale ‘chips’ that are perfect for dipping into the poached egg, it’s worth blowing your home owner’s budget for. The Local will be offering creative workshops and ‘meet the maker’ events in coming months so if you’ve ever wanted to learn printmaking or basket-weaving, follow them on Insta. Enjoy some indulgent fare and fine vino at the Mitchell Harris Wine Bar while you’re in town. Hidden inside a 1890s produce store, it’s a cross between a wine bar and a cellar door, with gorgeous street art on the exposed brick walls. As well as being a great place to pick up wines made using grapes from the Macedon and Pyrenees ranges, there’s wine from Mitchell Harris’s own vineyard to sample. The share-friendly menu has a Japanese theme with juicy pork bao bursting with Asian slaw and hoisin ginger sauce, and plump little veggie gow dumplings. Green tea noodles pack a serious wasabi punch and the twice-cooked pork belly is melt-in-your-mouth tender. Mitchell Harris offers monthly wine-tasting events in the cellar space out the back which are super-relaxed sessions designed to celebrate the wide world of wine and the foods that complement it. It’s just around the corner from Il Piccolo Gelato so if you’re also alllll about proper Italian gelato, make sure you pop in. 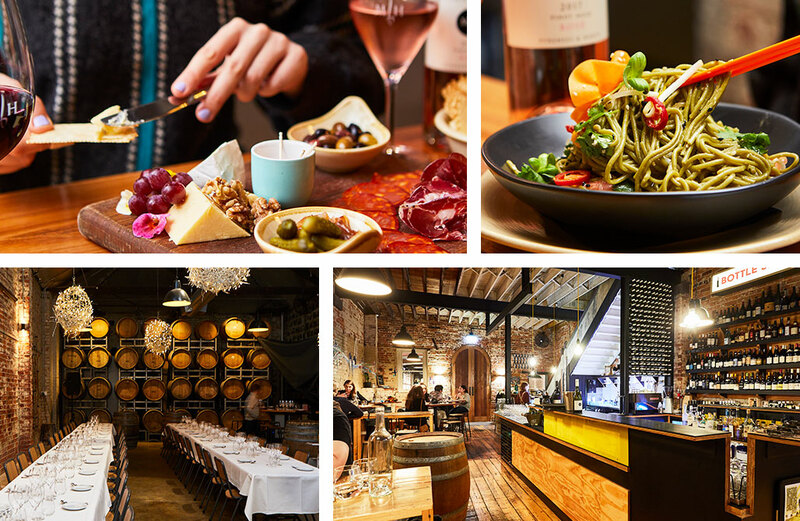 Regional Victoria and gourmet produce go hand in hand, and the nearby Pyrenees Wine Region in Western Victoria offers visitors to Ballarat the chance to sample stunning wines at a host of award-winning wineries and well-renowned vineyards. Start by heading to Summerfield Wines, one of the real gems of the region. The winemaker and cellar door manager will happily talk you through their wine offerings and pour you samples without a hint of pretension (refreshing AF, if you ask us). The regional produce board is mighty tasty and features such delights as onion marmalade (you can never have too much onion) and house-smoked meats. As for the wines, if you love rich reds, you won’t be disappointed. The Pyrennes region is known as shiraz and cabernet country and you’re likely to buy a lot more wine than you originally intended, not to mention a few delicious cheeses from the on-site delicatessen. 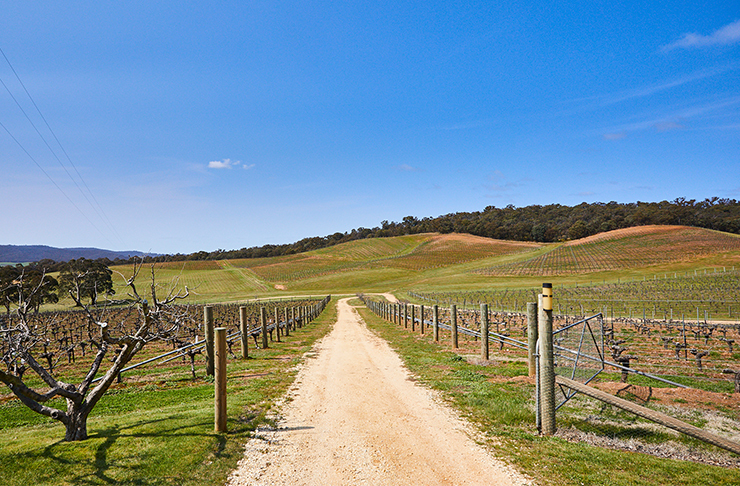 Ten minutes drive away from Summerfield, you’ll find the gorgeous Dalwhinnie vineyard and cellar door. This old-school vineyard produces five different expressions of shiraz, ranging in price from $30 to $170 (#treatyoself). It’s one of the prettiest places you’ll ever see, with 18 hectares of rolling hills and a beautiful veranda for contemplating the view. Dalwhinnie has a strong rep for excellent, intense chardonnay, shiraz and cabernet sauvignon so taste all three alongside a gourmet cheese and antipasto plate. Before you leave the Pyrenees Region, make sure to stop into the heart of it all – the Blue Pyrenees Estate. Don’t miss a taste of their cabernet and shiraz – this estate is committed to traditional production methods, and you can definitely taste the difference. To go in to the draw and for full T&Cs, head here. 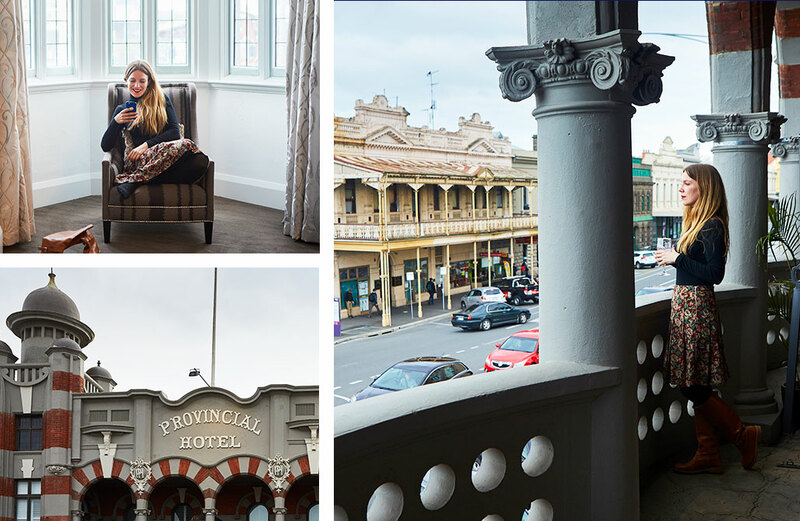 Editor's note: This article is proudly sponsored by Visit Ballarat and endorsed by The Urban List. Thank you for supporting the sponsors who make The Urban List possible. Click here for more information on our editorial policy.